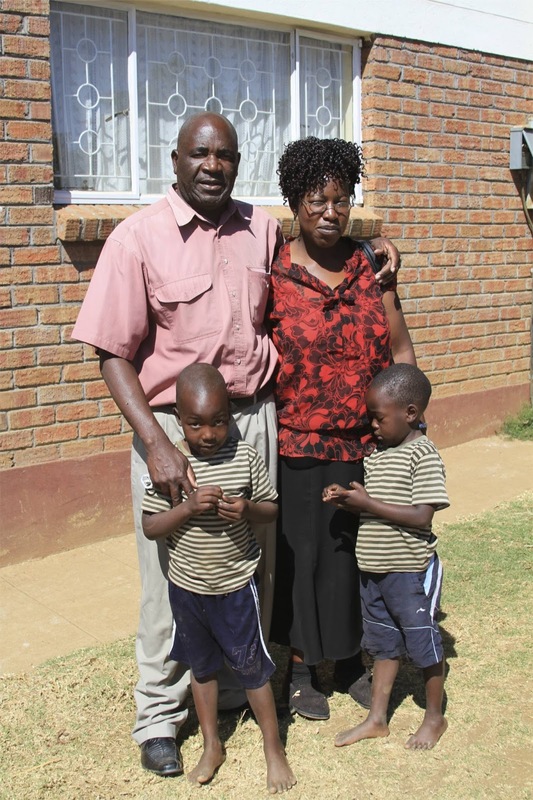 Your generosity and giving this term has enabled us to buy a new Irrigation system for the thriving farm in Gweru, Zimbabwe. To ensure that that farm continues to be a blessing to the local people and area, the irrigation system of more than 10 years needed replacing. Through your giving Help International has enabled this to happen.
' I am happy to share with you that then project has been and still is a great blessing to my family and the surrounding community. The bore hole and the new irrigation system is a great blessing to the community. Being the deepest borehole in the area, it boasts a lot of water underground, even during the hottest months when the other boreholes have dried up. Due to this the and the local city council failing to supply water to the local people, we have many from the local area come to draw water from our borehole. 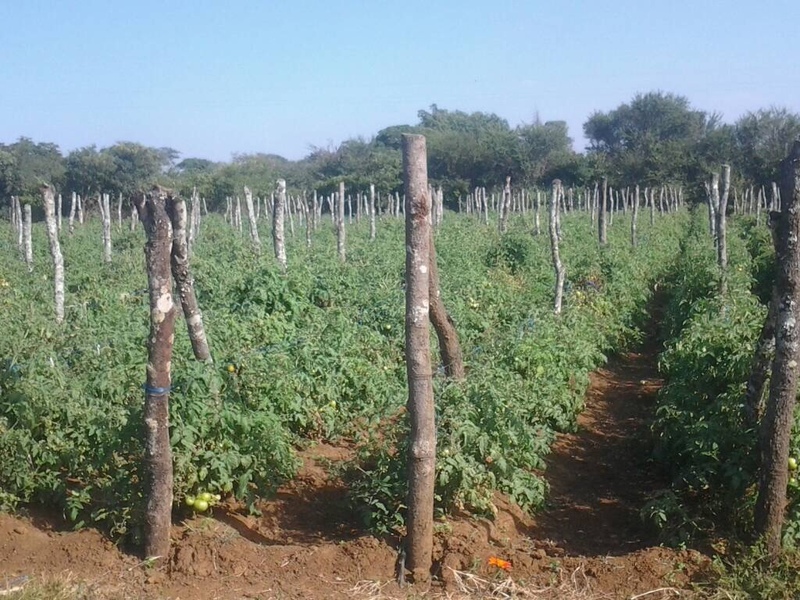 Friends, this last winter was one of the hottest we've had for a long time, we were the only people in the local area being able to grow tomatoes in Gweru. What a blessing it was to be able to supply to the whole of Gweru! The irrigation project enables families to meet all the basic human needs. We would like to extend a big thank you to all that gave to enable this project to continue, your giving has helped to provide basic needs for food and water and provided employment for many families in the surrounding areas. "The Maize Production Project is the Project Gladys and myself have initiated to help the most underprivileged poor of the poorest in the communities we serve. We are supporting these people with the proceeds from our Irrigation Project. The setback we are facing to run our Irrigation project is that our Irrigation equipment is 15 years old and is no longer performing effectively. We have had a lot of breakdowns repairing it time and again. The permanent solution is to replace with new irrigation equipment. 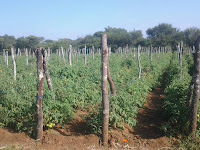 Forster in Bulawayo is a specialist in Irrigation has recommended us to have new equipment quoted on the list attached. I have also included the cost of the 40 x10 kgs bags of maize seed for the Maize Production for the poor. If I can have the New Irrigation now I should be in a position to buy fertilizer to help some of the poor families before the rain season in November. I will also teach these poor families how to plough and plant their maize crop. I will also encourage them to use humous and anthill mature to enrich their soil. Last Sunday we asked you to bring in your copper coins to make a trail around the meeting room. We had so many we could probably have gone from Alfreton to Chesterfield! I had to borrow the projector case on wheels in order to be able to get the coins into my car because the bags were so heavy! I took it to the bank on Monday and it took several fillings of the coin catcher to get it all through. They are certainly not short of change at Nat West now. The grand total including silver coins and folding money was £295.42 which we have rounded up to a nice round £300 which is on it's way to Charles. This is wonderful news! Thankyou so much for your email and all of the church generosity. Mum and Dad came back with a video of the copper trail from last weekend - such a great idea! I may post this on our next newsletter to encourage others to give and think creatively.